Alicia from Oahu Auctions inquired about a logo design several weeks ago. Alicia had a specific idea in mind that they wanted for a logo, which is great because it helps our graphic designer work towards making a logo that they accept. After sending in the initial pre-payment for the logo, our graphic designer got started right away on the auction service vector logo design. What is a vectored logo? A vectored logo is one that can scale to any size with zero loss of quality. It could even be scaled up to a billboard size! Customers that need to have a logo designed and plan on using it for vehicle decals, posters, signs, or even billboards will require a vectored logo design. The other kind of logo design that BsnTech Networks offers is a “raster” logo design. These logos are a bit less expensive – but it is because they do not scale to size very well. They will lose quality and start to look blurry or grainy when doing so. These logos are really only meant for use on websites and small print media such as business cards and letterheads. 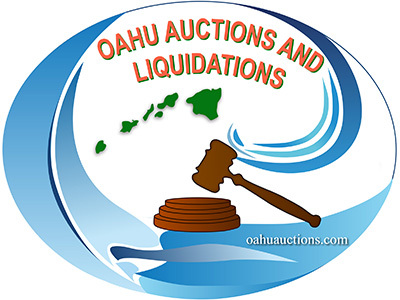 Oahu Auctions was very pleased with the service that we provided them for their logo design. They even inquired with us about potentially creating a website for them. We appreciate the business from Oahu Auctions and their trust in our logo design services.